My daughter has been obsessed with loosing a tooth for awhile. One of her friends lost a tooth, so automatically she had a loose tooth. The dentist actually confirmed that she had some “mobile” teeth, as she called them. But I figured we were in for a long wait. 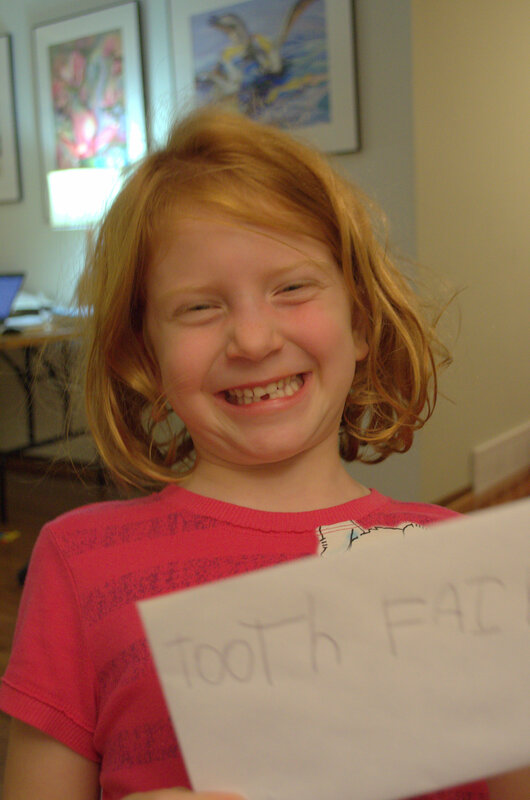 But today, when she realized that the one tooth was pretty wiggly, she started freaking out and asking “Will I lose ALL my teeth?” I distractedly said yes, because she will. But that was the wrong answer- because her face crumpled into panic and she almost started sobbing. That sent her scurrying back to the bathroom to check it out. She was not happy about it and decided she in fact did not want any of her teeth to fall out. Ever. So we gave her the Kindle and told her she could watch Netflix. Distraction time 🙂 A few minutes later I heard her shrieking that it came out. She pulled it out! She was so excited! I didn’t think it was THAT loose, but then again I don’t do well with wiggly teeth, so I wouldn’t look at it. They FREAK me out. The next panic came from my husband and I when we realized we didn’t have cash for the Tooth Fairy to leave. But he dug out $2 in quarters and I found $2 in my wallet. She will love it! Can you see her excitement? 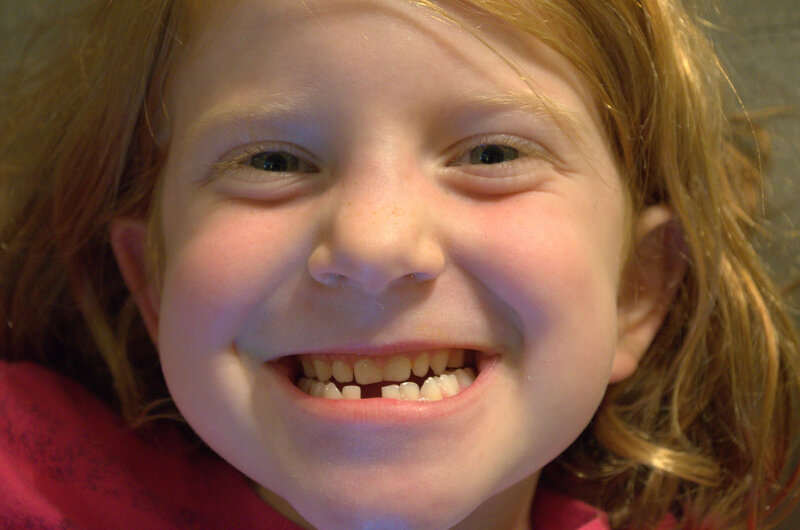 When did your kiddo lose their first tooth? What if my house burns down?